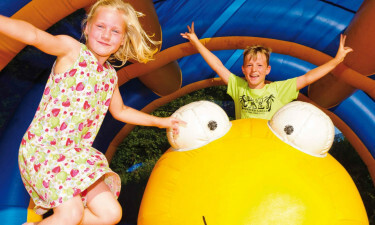 Boasting a stunning location in the Doussard region of France, La Nublière is a leading LuxCamp that has been created with the needs of the whole family firmly in mind. Guests who arrange a mobile home at this site will also be treated to direct access to the large and lovely Lake Annecy, while the surrounding area is just waiting to be explored. Guests who want to stay active while they are away can enjoy different kinds of activities such as volleyball and table tennis. Special excursions of the area are also organised for staff to make exploring the area extremely easy. The little ones are treated to an onsite wading pool for them to splash around inThe little ones are treated to an onsite wading pool for them to splash around in, and for a fee you can use the wellness complex with sauna and jacuzzi. 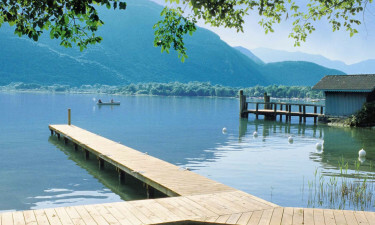 Guests who choose to spend their camping holiday at La Nublière can enjoy direct access to the enchanting Lake Annecy. This is the perfect place to keep cool on a sunny day, While water sports such as windsurfing and jet skiing can be experienced on the crystal clear water.